Ask Smithsonian is a fun video series featured on the Smithsonian Magazine website. All of the videos in the series are less than two minutes long. Each video tackles a fun topic in science. Some of the videos address questions that are less serious topics than others. 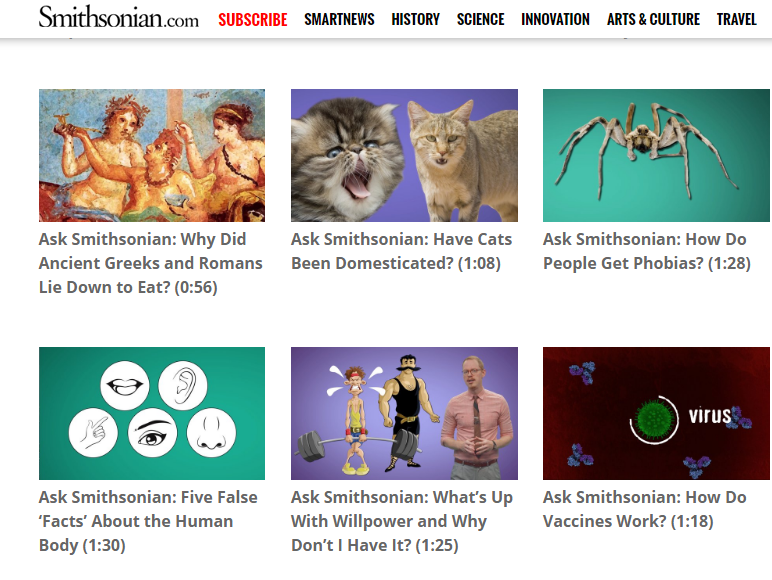 For example, on the first page of Ask Smithsonian there is currently a video about why humans kiss alongside a video about how anesthesia works. The videos in Ask Smithsonian could be useful as fun lesson starters. I would also consider adding these videos to my classroom website to display as "bonus" materials for students to watch and respond to for extra credit points.